Hebrew year-book, edited and published by Nahum Sokolow in Warsaw. Its first volume (5645) appeared in 1884; it continued to appear regularly every year until 1889, when the fifth volume (5649) came out at the end instead of at the beginning of the Jewish year. The sixth and last volume (5654) appeared in 1893. The "Sefer ha-Shanah" (Book of the Year), which isnow annually published by Sokolow, is considered a continuation of "Ha-Asif." The "Sefer Zikkaron," a biographical dictionary of contemporary Jewish authors, was published as a supplement to the fifth volume of "Ha-Asif." Most of the better-known Hebrew writers of the day have contributed to the six volumes of "Ha-Asif," which form an important collection of literary, historical, biographical, and popular scientific essays. 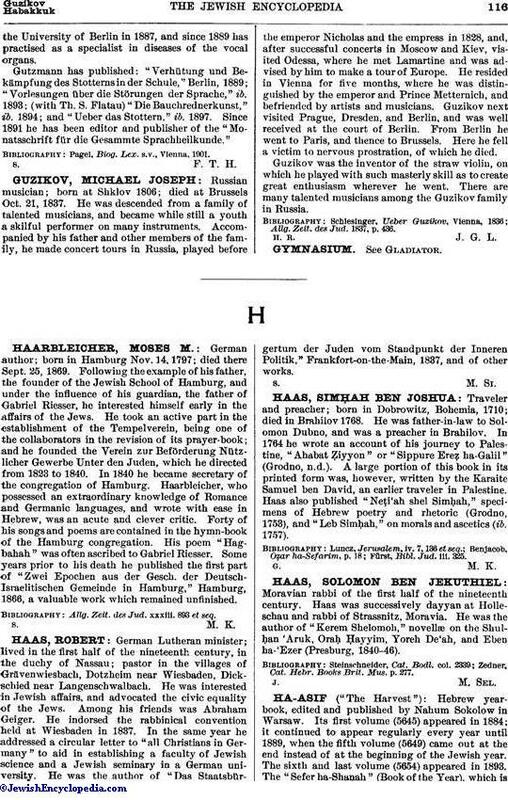 They also contain poems, sketches, and novels, some of which possess considerable merit; while its yearly reviews, obituaries, and descriptions of Russo-Jewish communities are of great value to Jewish biography and history. 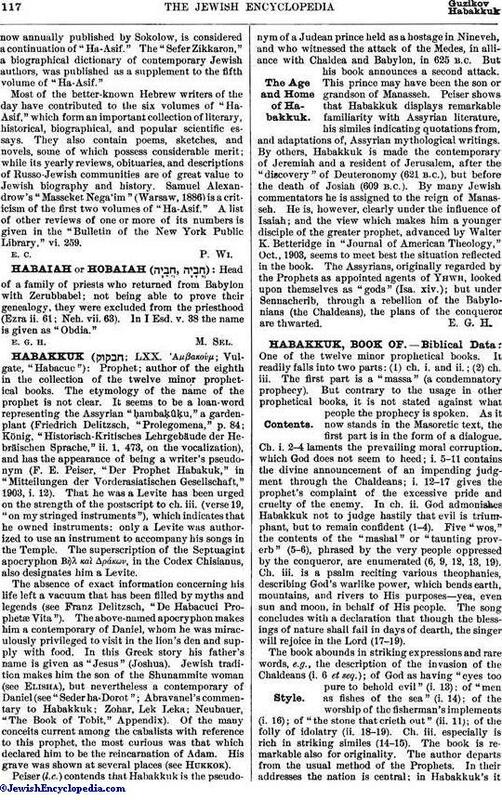 Samuel Alexandrow's "Masseket Nega'im" (Warsaw, 1886) is a criticism of the first two volumes of "Ha-Asif." A list of other reviews of one or more of its numbers is given in the "Bulletin of the New York Public Library," vi. 259.